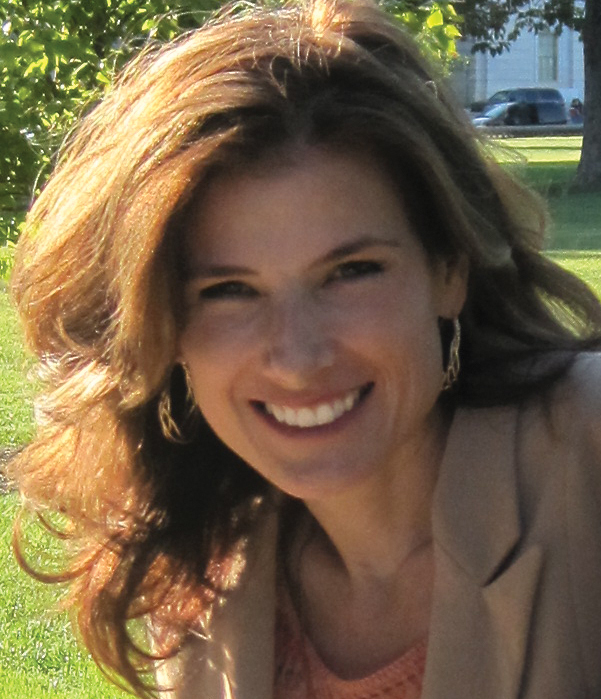 How can patients get ready for a Biologic infusion? 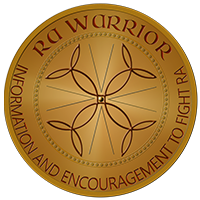 Doreen asked how to prepare for her upcoming Rituxan infusion. Here are some general tips that might help with any kind of Biologic infusion. As usual, I’ve learned most of these from other patients and from the effective teacher called experience. The orange Rituxan blanket was a gift to me from my lovely friend Nancy who helped me through my infusions when I was in a clinical trial. It’s a symbol for me to never give up. 1. Check immunizations. If you have a few weeks, ask your doctors about whether any vaccinations would be a good idea. 2. TB test. Whether it’s a skin test, lung x-ray, or blood test, be sure you’ve had a recent TB test. This is recommended in most areas, but some studies show it’s not always done. Latent TB can be more easily activated when on Biologics and may need to be addressed ahead of time. 3. Patient support programs. Look up the manufacturer’s website or phone number for patients to ask questions. You’ll know how to contact them if you have questions later and they may help you feel better prepared. 4. Payment assistance.Pharmaceutical companies have “copay cards” to help patients with the cost of medications. Ask your doctor to help you participate and bring them paperwork from the company, if needed. 5. Address anxiety. Even if you’ve had other Biologics or other infusions before, if you are concerned that anxiety might be a problem during the infusion, talk to your doctor. Together you can decide whether you might benefit from some medication to make you more comfortable on infusion day. Strange, but true: when I was the first patient in their clinical trial, even my nurse took a Xanax! 6. Ask questions. Address any concerns with your doctor ahead of time to feel as prepared as possible on infusion day. They should be able to explain to you the protocol for the drug you are receiving, such as which pre-medications are used and at what rate they are administered. 7. Drink up. The day before the infusion, drink plenty of water to be sure you’re well hydrated during the infusion. This is believed to make IV’s easier to insert and reduce infusion reactions. Maybe you can also buy a bottle of your favorite water or juice to bring with you to the infusion. 8. Rest. Getting a good night’s rest the night before will help you feel less anxious and better able to tolerate the long day you might have in the infusion room. 9. Just in case. Go over any infusion reaction procedures with the nurses who will manage the infusion. Reactions are rare, but you may be more relaxed knowing they are prepared. 10. Eat a healthy breakfast. Unless your nurse asks you to fast for some reason, eat a healthy balanced meal to keep your blood sugar steady during the infusion. 11. Invite a friend. My first Orencia infusion, I called an infusion party, bringing my best friend and my daughter for support. We even went to lunch afterward. 12. Comfy clothes. Wear something soft and easy to move in. Sitting in a chair can make you stiff enough – you don’t need clothes to restrict you. Realize you may also need to use the restroom with only one had free, after all that water you drank with the IV! 13. Lap blanket. Medical facilities can be cold and some people feel an IV gives them a chill. 14. Bring small snacks. Infusions can last long enough that you’ll get hungry. And eating something will help the time pass quicker too. 15. Fun diversions. Bring a book, magazine, or other activity you can do on your lap. 16. Laptop, iPad, or phone. It can be very helpful to communicate with supportive people via texting, Twitter, or Facebook. 17. Driver. It’s impossible to predict how you’ll respond to an infusion or whatever pre-medications you receive such as Benadryl / diphenhydramine, so you may not want to drive home, at least the first time. 18. Speak up. If at any time, you are concerned about your well being, uncomfortable with what’s happening, or worried about anything, speak up. Even wonderful nurses cannot read your mind or may make mistakes, so speak up if you need to. 19. More rest. Sometimes the infusion may leave you tired or with a headache the following day. Some have side effects from pre-medications such as puffiness or flushing. However, some actually feel extra energy as an effect of intravenous steroid pre-meds. 20. Realistic expectations. A biologic does not take usually effect immediately. As I often remind patients, expect the best possible result, but realize Biologics are not magical and instantaneous improvement is rare. 21. Tell your doctor how you feel. Ask what number you can call with any concerns after the infusion and contact a medical professional if you have any symptoms that worry you. Hopefully these suggestions and those on the comments page will help you be prepared for an infusion and allow you to be more relaxed. Of course no article online is a substitute for the individualized medical advice we all need. Disclaimer. I’ll bet you have more ideas or tips to help others! Let them know your ideas using the comment box below. The infusion nurses at my rheumy’s office recommend drinking gatorade and eating something salty like Chinese food, popcorn or pizza the day before. This is assuming you aren’t salt sensitive or on a reduced sodium diet. The gatorade electrolytes and the sodium combine to keep your veins pumped up (juicy is what they call them). I love the list. It’s always nice when there is something to help the jitters. I will offer a couple of tidbits. Every doctor is different so before your infusion do not hesitate to talk to the nurse or the infusion nurse and ask questions. For example, guests, neither of the doctors I’ve seen allow company for a variety of reasons. They are also strict about phone calls & food. One doctor offered water & tea and preferred no food unless it was the simplest of snacks. The other doctor’s infusion team offers everything from water to diet coke. They also encourage you to dig into the snack basket that they refill weekly for us, the patients! Another thing offered is free wifi. So while phone calls are really REALLY frowned on, playing on a silent phone or netbook is totally encouraged. I found that for me it’s the perfect time to catch up on my favorite site, cake wrecks. I agree that dressing for comfort is essential, but add layers. If you’re too hot or too cold you can remedy that easily. With that, infusion rooms do offer blankets. I like to bring my own small throw. I washed it, I made it or picked it out…it’s my touch of comfort when doing something that isn’t exactly fun. Lastly, know that infusions aren’t exactly the top of anyone’s list of to do’s, but with patience and time those hour(s) in the chair could offer you something you’ve wanted back for a long time. My infusion center asks you to take benadryl about 90 minutes before your infusion. This will reduce the chances of a reaction. I always take my Kindle with me. I can read or play games. It sure makes the time go by more quickly. Stock up on groceries the day before, some easy to prepare items. Remember the crockpot is your friend. I usually make huge pot of veggie soup that morning because the next two or thee days a very rough for me. Takes! What a good suggestion. When I was on actemra I would be wiped out for 2-3 days. Cooking was the last thing on my list. My Rituxan infusion is coming up on March 1st..I usually take something to read and some snacks.. Have my android phone to play on but usually I end up sleeping through it since the allergy meds they give me kick in and I think the infusion itself makes me tired…When I had my last Infusion around Aug of 2012, the second one I went to get, what they call the booster, I had a bad reaction from either to much medrol or not enough..I had pain in my legs so bad within hours of my infusion, had to call the ambulance and was in the ER for a few hours…I am hoping things go better this time. Mu nurse and Dr are aware of the incident last time. Before I give my suggestions I need to mention a few things. First, my story is not meant to put anyone off biologic meds (either via infusion, shot or orally) or scare anyone. It’s only meant to prevent someone from having the same problems. I can honestly say that even after my past experiences and problems while on biologics, I’d take another one in a heartbeat if it were the appropriate one, at the appropriate time. Biologics can be scary. But, if we let the scariness prevent us from trying a med, we’re only hurting ourselves. 1. Don’t allow the negative experiences of another person prevent you from taking a medication. You’re not them! Even among closely related people, you’ll see one person who tolerates a med well, while another cannot take it. My Mom & I both have RA as well as other things. She can tolerate a number of meds and finds a number of meds helpful and I either cannot tolerate them or they do nothing. Every female in our family aside from me has a problem with major side effects while taking any opioid pain meds. I only have problems taking one narcotic so far and I can never recall which one, either Demerol or Dilaudid. The rest of the women in our family stay as far away from opioids as possible because of side effects. Same with penicillin, every female is allergic to it but me. I am not allergic to it but I do have a sensitivity to it. Yet I can take things like amoxicillin. 2. Don’t let potential side effects prevent you from taking a medication. You could potentially be hit by a bus anytime you walk down a sidewalk but you don’t avoid sidewalks right? So why let a potential side effect stop you from taking a medication? You will never know if a med could be the perfect med for you if you let the potential side effects scare you off. Just because a side effect is possible does NOT mean it is definite you’ll have it. All too many people are scared of side effects of meds and let that stop them from what might be the med that would most or best help them. Even if side effects occur, most will reverse after stopping the medication and being off of it for a time. Very few are permanent side effects. And if you can tolerate a side effect for a short period, most side effects will either ease up or disappear with meds you’ve been on for a time. By letting potential side effects prevent you from taking a medication, you’re not allowing yourself the chance that a medication might be the one that puts you in remission, or at the very least, slows the damage and controls the RA more than not taking it. Which is worse: the potential side effects of a med OR the definite damage and disability RA causes? 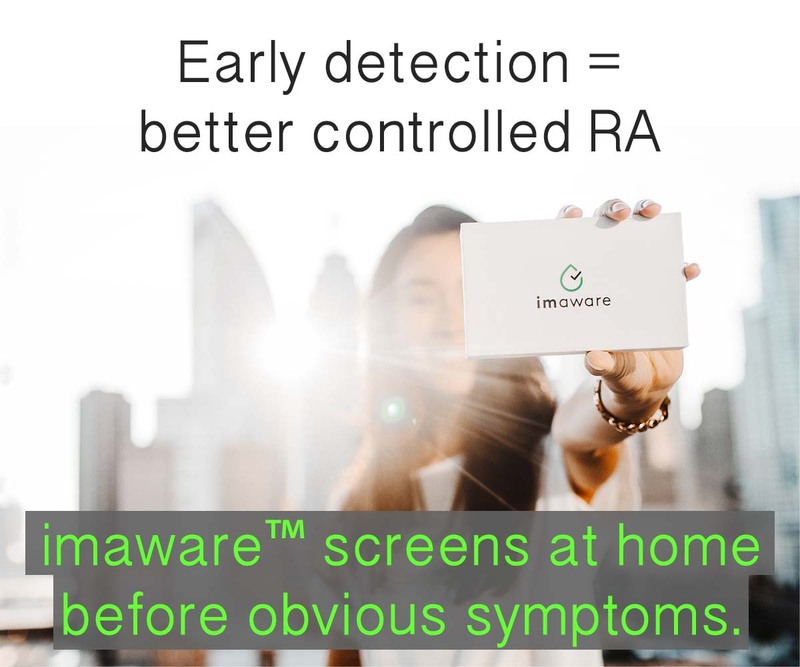 Untreated and under-treated RA comes with “side effects” that are just as scary (if not scarier) than many of the potential side effects of meds. 3. Be very vigilant about infections! I say this because I know how frequently those of us with daily swelling, stiffness, pain and other RA symptoms may not put much concern into what may seem to be a minor issue. But minor things can quickly escalate into a major problem when we’re on biologics. I learned that some meds (especially high dose daily pred) can mask the symptoms of infections. I have a long history of UTIs/bladder infections/kidney infections. I know all too well the symptoms the minute they are felt. I’ve known in the past I’ve had an infection before it showed on a UA. But, once I began a combo of Arava, Remicade and 20mgs prednisone daily I had 4-6 times where I ended up with one of the three infections and had no symptoms. The only thing I had was nausea/vomiting. And the first few times, there was always another possible cause, like when the rest of the family had a stomach bug and I got sick right after they did. We all just figured it was the same bug. But mine last 3-4 days. Each episode I ended up in the ER because I couldn’t keep anything (including meds) down. That threw me into a physical withdrawal of prednisone (which is horrible). The withdrawal from pain meds was nothing compared to pred withdrawal. I usually got admitted to the hospital for fluids to treat dehydration, antibiotics for infections and something for nausea/vomiting. All told, I had so many UTI/bladder/kidney infections, as well as cellulitis, sepsis, shingles, C-Diff, VRE, MRSA (and who knows what other infections I don’t remember) that I cannot count how many infections or how often I was on antibiotics between Dec 2008 and Nov. 2009. I later learned that some of what I had thought were symptoms of the various diseases I have could have been related to the infections as well. So don’t let the risk of increased infections scare you, but also don’t minimize what might be an infection. My current healthcare providers would rather me be a bit over-vigilant concerning infections given my history. That means what would normally be a minor issue (a small area where a shoe rubbed my foot and caused a small open spot) is now cause for pretty much an automatic script for an antibiotic, and with my past, a trip to a wound care doctor. All extra precautionary measures in some respects, but all very justified given the issues I had. 4. Don’t let a negative experience with one medication prevent you from trying a different type of medication. For me, this goes with the above. If my not so fun experience with the meds that caused me to have multiple infections that led to me being unable to stand or walk, the long hospital stay, the even longer nursing home stay, the contractures, loss of motion, pain etc. caused me to refuse to take a biologic, I’d only be hurting myself. Sure there are risks, and even more so with my history. But, the NP who treats my RA and I both agree that despite the risks, just because one mix of medications led to all of that, I cannot say no more biologics. What she won’t do is give me TNF alpha inhibitors simply because they’ve proven to be ineffective. Thank you for this. I haven’t seen my rheumatologist yet (diagnosed at internist’s ofc after positive anti-CCP test), but now I know a little more about how the biologics are administered. Even a little knowledge is better than none at all. This is how I face the day with RA! then I remember, it’s just me! And I pray again and know God is near. I hurry and take my meds and wish I could go back to bed. because they help with my RA. and they know I have to take it slow. as I slowly rub my knee. and through him ALL things are possible, if have no fear! I have never heard of a nurse taking xanax on the job….at least not one that wanted to keep that job. I’ve been an ICU nurse for years, am a former chemotherapy nurse…and would never consider taking anything that would hinder the ability to make sound decisions on behalf of my patients. Just plain scary. I think she might have meant that a patient that was also a nurse took the xanax as well. Rituxan is not a biologic but is chemotherapy. Methotrexate is chemotherapy. Be informed. Research the original use of your meds. 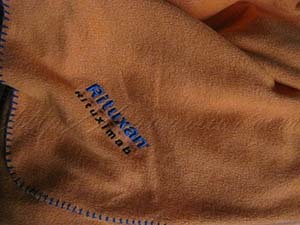 Rituxan is the brand name for the biologic rituximab. Any medicine ending in -mab is a Monoclonal AntiBody, a type of biologic medicine. It is true that some meds used in rheumatoid disease were used first in other conditions.